Home, garden ads in Perth. Thank you for visiting our free advertising website Home, garden, Perth section. We provide high response free classifieds and free advertisement. Use our online free Home, garden classifieds placement system to find, list, offer Home, garden online! Our modern freestanding bathtub named Anna is made from high density premium acrylic which is built to last longer. The stainless steel frame provides structural support to the bathtub. 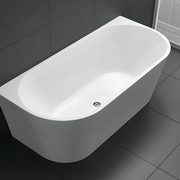 Priced at $999.00, this is a must for your home.Size of this bathtub is 1500 x 750 x 600. You will also get 5 Year limited warranty for this product. HITACHI EB 1830H Power Tool Battery Replacement Type: Ni-MH Volt: 18V Capacity: 3000mAh Color: Black Weight: 983g Dimension: 124.80 x 76.90 x 106.50mm Please go to buy this battery now http://www.drillbattery.com.au/buybattery.php/hitachi_EB+1830H_power+tool+battery. Brand New Cordless Drill Battery for RYOBI BPS-2400 Type: Ni-Cd Volt: 24V Capacity: 2000mAh Color: Black Weight: 1644.3g Dimension: 127.60x108.00x93.20mm Please go to buy this battery now http://www.drillbattery.com.au/buybattery.php/ryobi_BPS-2400_power+tool+battery. Brand New Cordless Drill Battery for DEWALT DE9093 Type: Ni-MH Volt: 18V Capacity: 3000mAh Color: Black Weight: 1176.53g Dimension: 136.80x88.30x113.20mm Please go to buy this battery now http://www.drillbattery.com.au/buybattery.php/dewalt_DE9093_power+tool+battery. Brand New Cordless Drill Battery for BOSCH 2 607 335 031 Type: Ni-Cd Volt: 7.2V Capacity: 2000mAh Color: Black Weight: 399.5g Dimension: 108.55x53.00x90.05mm Please go to buy this battery now http://www.drillbattery.com.au/buybattery.php/bosch_2+607+335+031_power+tool+battery. Brand New Cordless Drill Battery for MAKITA 1835 Type: Ni-MH Volt: 18V Capacity: 2200mAh Color: Black Weight: 1070g Dimension: 119.75x93.70x105.10mm Please go to buy this battery now http://www.drillbattery.com.au/buybattery.php/makita_1835_power+tool+battery.html Inquiry: info@drillbattery. NATIONAL EZ595 Power Tool Battery Replacement Type: Ni-MH Volt: 9.6V Capacity: 3000mAh Color: Red Weight: 680.4g Dimension: 77.55x59.45x136.15mm Please go to buy this battery now http://www.drillbattery.com.au/buybattery.php/national_EZ595_power+tool+battery.html Inquiry: info@drillbattery. Brand New Cordless Drill Battery for MILWAUKEE 48-11-1950 Type: Ni-MH Volt: 12V Capacity: 3000mAh Color: Black Weight: 637.88g Dimension: 104.57x82.75x60.30mm Please go to buy this battery now http://www.drillbattery.com.au/buybattery.php/milwaukee_48-11-1950_power+tool+battery. Brand New Cordless Drill Battery for BLACK & DECKER VP143 Type: Ni-MH Volt: 3.6V Capacity: 2100mAh Color: Black Weight: 6.1g Dimension: 4.5 x 1 x 1 inchesmm Please go to buy this battery now http://www.drillbattery.com.au/buybattery.php/black+&+decker_VP143_power+tool+battery. METABO SBT 15.6 Plus Power Tool Battery Replacement Type: Ni-MH Volt: 15.6V Capacity: 3000mAh Color: Black Please go to buy this battery now http://www.drillbattery.com.au/buybattery.php/metabo_SBT+15.6+Plus_power+tool+battery.html Inquiry: info@drillbattery.com.au. FIRESTORM FS1800D Power Tool Battery Replacement Type: Ni-MH Volt: 18V Capacity: 3000mAh Color: Grey Weight: 1233.23g Dimension: 145.60x78.90x72.20mm Please go to buy this battery now http://www.drill-battery-au.com/batterypack.php/firestorm_FS1800D_drill+battery. Brand New Cordless Drill Battery for CRAFTSMAN 315.11034 Type: Ni-Cd Volt: 18V Capacity: 2400mAh Color: Black Weight: 1126.5g Dimension: 149.33x87.80x73.85mm Please go to buy this battery now http://www.drill-battery-au.com/batterypack.php/craftsman_315.11034_drill+battery. AEG M1430R Power Tool Battery Replacement Type: Ni-MH Volt: 14.4V Capacity: 3000mAh Color: Black Weight: 890g Dimension: 129.50 x 77.84 x 72.85mm Please go to buy this battery now http://www.drillbattery.com.au/buybattery.php/aeg_M1430R_power+tool+battery.html Inquiry: info@drillbattery. Alfresco Life offer fast, affordable outdoor alfresco solutions while delivering first class customer service. Call for a quote today. Phone number	(08) 9249 8291 Business E_mail	sales@alfrescolife.com.au website	https://alfrescolife.com.au/ Address: 4 Exhibition Dr Malaga WA 6090 Australia. Star Door Service & Repairs is a WA owned, family run business and our proprietors have been in the industry for more than 20 years. With their extensive knowledge and experience, we can assure you a prompt and professional service. Our friendly service team has over 40 years of experience between them and will come to your house to discuss the best options for your door at an affordable price. Create a stylish and contemporary feel within your home by having coloured glass splashbacks installed as a perfect surface for kitchens, bathrooms, sliding robe doors, alfresco areas, shower recesses and other wet areas. Buy kitchen splashbacks or kitchen wall panels to help protect your kitchen. Choose from a variety of great products at affordable prices. PANASONIC EY9116B Power Tool Battery Replacement Type: Ni-MH Volt: 24V Capacity: 3000mAh Color: Yellow Weight: 1332.5g Dimension: 106.50 x 97.70 x 108.60mm Please go to buy this battery now http://www.drillbattery.com.au/buybattery.php/panasonic_EY9116B_power+tool+battery. Brand New Cordless Drill Battery for BOSCH 2 607 336 091 Type: Li-ion Volt: 18V Capacity: 3000mAh Color: Black Weight: 611.75g Dimension: 113.60 x 74.65 x 59.75mm Please go to buy this battery on http://www.drill-batteries.com/batteryprices.php/bosch_2+607+336+091_power+tool+battery. MAKITA BL1815 Power Tool Battery Replacement Type: Li-ion Volt: 18V Capacity: 3000mAh Color: Black Weight: 697.5g Dimension: 114.80 x 74.55 x 65.20mm Please go to buy this battery on http://www.drillbattery.com.au/buybattery.php/makita_BL1815_power+tool+battery. Brand New Cordless Drill Battery for DEWALT DCB205 Type: Li-ion Volt: 18V Capacity: 4000mAh Color: Yellow Weight: 1220g Dimension: 130 x 93.4 x 83mm Please go to buy this battery on http://www.drillbattery.com.au/buybattery.php/dewalt_DCB205_power+tool+battery. Brand New Cordless Drill Battery for HITACHI EB 1214S Type: Ni-Cd Volt: 12V Capacity: 2000mAh Color: black Weight: 605g Dimension: 73.09x99.74x89.92mm Please go to buy this battery on http://www.drillbattery.com.au/buybattery.php/hitachi_EB+1214S_power+tool+battery. PANASONIC EY9106 Power Tool Battery Replacement Type: Ni-MH Volt: 12V Capacity: 3000mAh Color: Black Weight: 700.55g Dimension: 83.62 x 81.20 x 95.64mm Please go to buy this battery on http://www.drillbattery.com.au/buybattery.php/panasonic_EY9106_power+tool+battery. Brand New Cordless Drill Battery for AEG L1415R Type: Ni-MH Volt: 14.4V Capacity: 3000mAh Color: Black Weight: 890g Dimension: 129.50 x 77.84 x 72.85mm Please go to buy this battery on http://www.drillbattery.com.au/buybattery.php/aeg_L1415R_power+tool+battery. 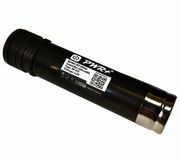 Brand New Cordless Drill Battery for RYOBI B72A Type: Ni-Cd Volt: 7.2V Capacity: 2000mAh Color: Black Weight: 430g Dimension: 140 x 50 x 27mm Please go to buy this battery on http://www.drillbattery.com.au/buybattery.php/ryobi_B72A_power+tool+battery. BLACK & DECKER A18 Power Tool Battery Replacement Type: Ni-Cd Volt: 18V Capacity: 2000mAh Color: black Weight: 837.6g Dimension: 142.19 x 78.61 x 51.97mm Please go to buy this battery on http://www.drillbattery.com.au/buybattery.php/black+&+decker_A18_power+tool+battery. Brand New Cordless Drill Battery for PASLODE 900420 Type: Ni-MH Volt: 6V Capacity: 3000mAh Color: Black Weight: 309.25g Dimension: 134.60 x 49.40 x 28.10mm Please go to buy this battery on http://www.drillbattery.com.au/buybattery.php/paslode_404717_power+tool+battery. Brand New Cordless Drill Battery for 48-11-2412 Type: Li-ion Volt: 12V Capacity: 3000mAh Color: Red Weight: 347.5g Dimension: 89.65 x 63.20 x 112.4mm Please go to buy this battery on http://www.drillbattery.com.au/buybattery.php/milwaukee_48-11-2412_power+tool+battery. Bring luck with Feng Sui product. Giftocity offers wide range of FengSui Buddha from the reclining Buddha to the laughing Buddha, gemstone tree, Pixiu on glass base etc at best deals. Buy Feng Sui items to decorate your home to attract positive chi energy. For more information contact us : 61 430 866 115 or Visit our website: https://giftocity. 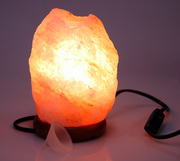 Looking to buy Himalayan salt lamp? Giftocity offers best range of Himalayan salt lamps and candle holders to improve indoor air quality, mood and reduce indoor allergens with promoting better health and relaxation. To create a warm ambience at your home, order now! For more information contact us : +61 430 866 115 or Visit our website: https://giftocity. Shayne's Tree Services has over 18 years experience, we specialise in Tree Removal, Tree Pruning/Trimming & Stump Grinding. Call for your obligation free quote today! Website:	https://shaynestreeservices.com.au/ Phone:	895934203 Email:	shaynestreeservices@hotmail.com 44 La Manche Avenue Port Kennedy. Australia free ads for Home, garden, Perth, Home, garden free ads Perth, Home, garden for sale Perth, Home, garden to buy in Perth. Find on this page free classifieds for Home, garden in Perth. This listing includes classifieds for sale and to buy in Perth. FREEADSAustralia Perth offers you a platform to post free advertisements or classifieds for Home, garden in Perth. FREEADSAustralia helps you search, find buy, sell, rent or hire in various categories like apartments, goods for sale, local services, cars , jobs and many more in Perth. If you posted an advertisement in category Home, garden of FREEADSAustralia Perth before please use Edit my ads button to change or cancel your ad. Home, garden Perth ads Perth, Home, garden classifieds Perth, Home, garden free ads Perth, ads for sale Perth, ads to buy Perth, FREEADSAustralia. Find here ads for sale, to buy and rent in Perth. Goods for sale in Perth, vehicles for sale in Perth, Perth real estate for sale, Perth property for sale, property for rent in Perth, business ads in Perth, Perth business classifieds, services in Perth, Perth services ads, jobs in Perth, pets for sale in Perth, Perth dating, Perth cars for sale.